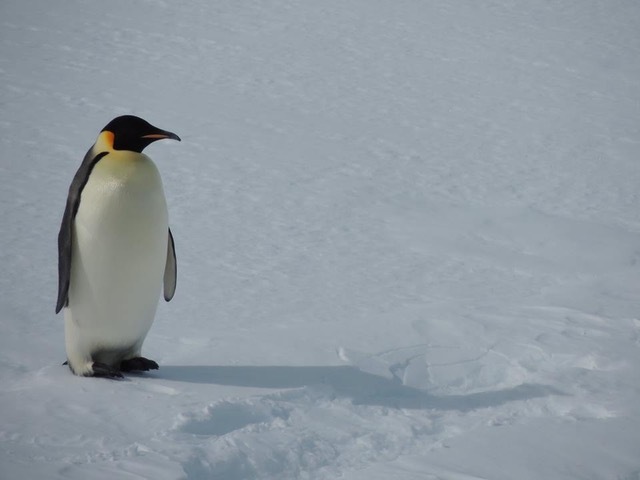 Travel Consultant, Tye Rogerson, just returned from the adventure of a lifetime on a Quark Expedition to Antarctica. Follow his journey as he takes us from the southern tip of Ushuaia to the White Wilderness, Antarctica. We reached Antarctica the old fashioned way, by crossing the Drake Passage. It is now possible to fly over the passage and then cruise, avoiding the dark and moody waters of the southern seas. But we wanted to grab ahold of distance, and wait for the moment until the world’s largest wilderness area faded into view. And in the meantime, it wasn’t hard to enjoy the sight of half a dozen albatross strafing our stern. We were aboard the Ocean Endeavour, owned by Quark Expeditions, on one of the first departures of the season. Everyone beamed, we knew we were going somewhere rare. Our expedition leader was an adventurous Alaskan native, who had previously studied philosophy and been an iron worker at the Amundsen-Scott South Pole Station. He explained that as an expedition trip we had a general daily itinerary, but would pivot as necessary to make the most of our weather and wildlife opportunities. This approach came in handy a few days later when somebody spotted a pod of orcas, and a few days after that when our resident bird expert spied an emperor penguin. Although we crossed the Drake like the heroic explorers a century ago, our onboard experience was very comfortable. As a hotel, the Ocean Endeavour had multiple decks with a variety of areas to spend time in. There were saunas and a full health spa (massage, facial, etc.) on Deck 8, as well as the Meridian Lounge which served as the quiet area for reading. On Deck 7 we often took tea in the Aurora Lounge, Deck 5 was the lobby, and on Deck 4 was the mud room where we suited up before boarding the zodiacs. After making landings and leaving our outerwear in the lockers, staff always had a mug of hot cocoa to hand us. Deck 6 was the main one, and included a pool heated by the ship’s engine, the bar and Nautilus Lounge where scientists and adventurers gave talks and shared stories, the library and Compass Lounge stocked with every polar book one could wish for, the dining area (very popular! ), and the Polar Boutique store. Outdoor observation was possible on several decks, and the bow was open a couple times during the week. It was a pleasant surprise to learn the ship’s captain maintained an “open bridge” policy where, most of the time, passengers could see what it takes to pilot a 137m vessel around icebergs and islands. The landings were our favorite part of the voyage, whether it was walking thru chinstrap and gentoo penguin colonies or watching elephant seals groan along the rocky beaches. Some days we passed Adélie penguins porpoising across the wavelets, and others we gazed at tabular icebergs the size of city blocks floating ever so slowly out from the Weddell Sea. The places we visited were varied and endlessly photogenic. The expedition photographer took photos of those silly enough to take the polar plunge (worth it! ), and he gave us plenty of tips on how to compose and shoot better images ourselves. Quark also offered adventure activities, such as sea kayaking, cross country skiing and mountaineering. We opted for the stand up paddle boarding and snow camping, a stunning day of fresh air and the super moon looming over Cuverville Island. In the distance we heard some “Antarctic Thunder”, a falling cornice became an avalanche. Then night. At certain points some of us found ourselves waking up at dawn to listen to orchestral music and watch the first light strike the glacial fjords. Indoors, the Ocean Endeavour was brimming with talented and interesting people, and stepping outside presented this unbelievable world, Antarctica, and everything that represented to us. Some people said they wanted to check off a bucket list item, some came for nature photography, and others couldn’t quite put it into words. We re-crossed the Drake Passage and disembarked at the very tip of Argentina in the charming town of Ushuaia. It is known as the “End of the World”, but that is only if you’re arriving from the north. Reflecting on where we had been, it was more like the beginning.